A Filetta: Sense one another, resonate, inflame, become one. 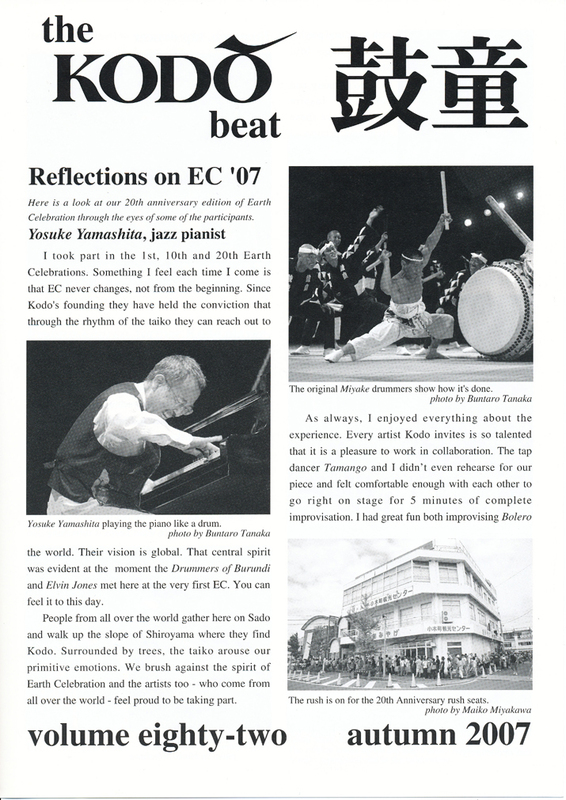 Our apologies, there was a mistake in Kodo Beat vol. 85 page four. The correct venue for the December Concert Series in Niigata is the Niigata Rytopia Concert Hall. Compact Show in the Big AppleKodo performed at Joe’s Pub in Manhattan. 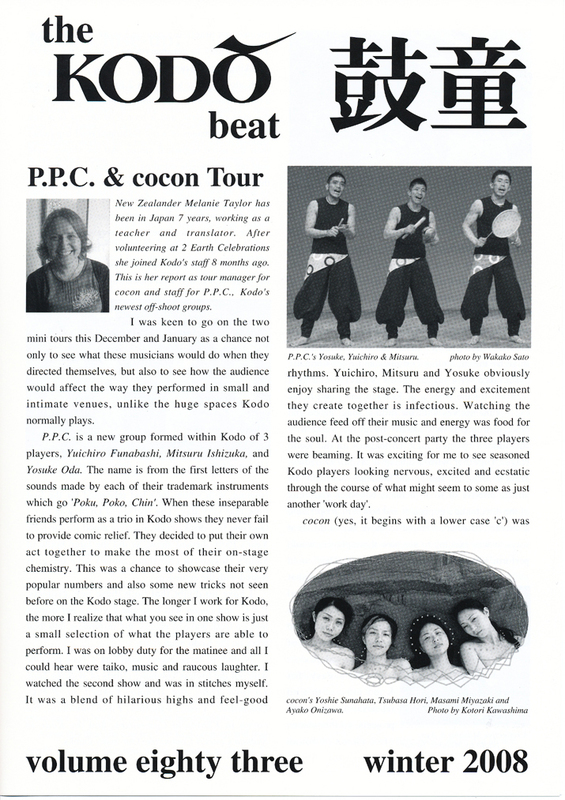 Kodo’s sound engineer Takuro Susaki talks.